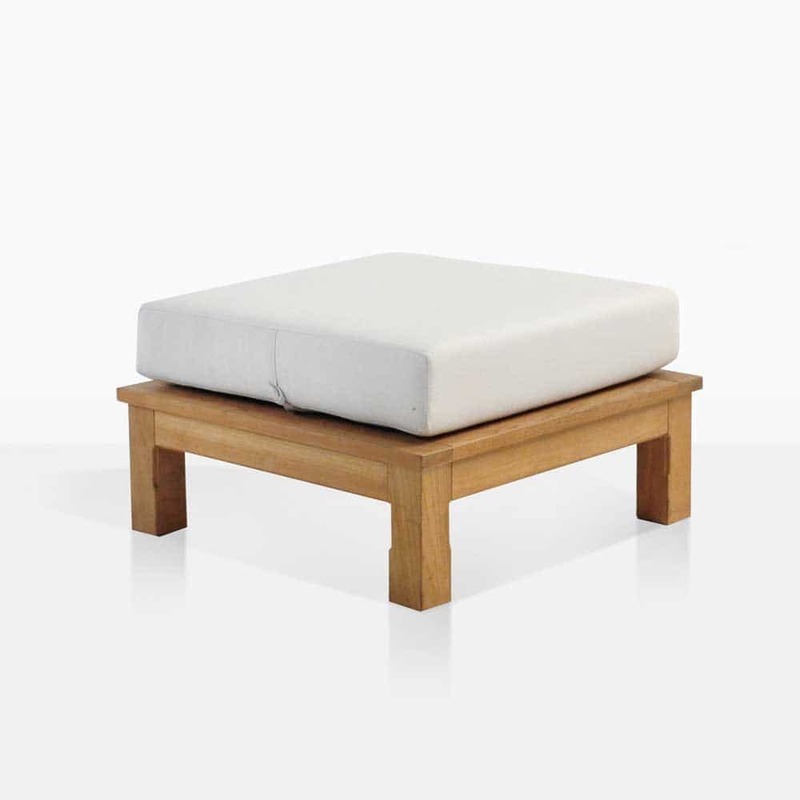 Enjoy the brilliant versatility, comfort and functionality of the Monterey Teak Ottoman. If you’re wanting the perfect piece of furniture; ideal for extra seating, or a side table, or purely for putting your tired feet up after a long day; the Monterey Ottoman, simple and chic, is the perfect addition to add to the Monterey Collection or as an extra little flourish in your home. 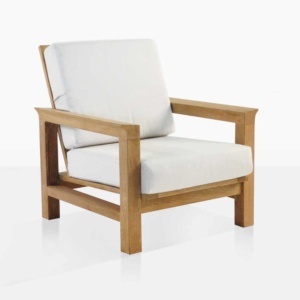 Part of the extensive Monterey Collection; classic, tranquil and elegant, it features a notably solid frame, with an angled detail in areas to give it a modern edge. Superb for seaside living, or even as a indoor piece. 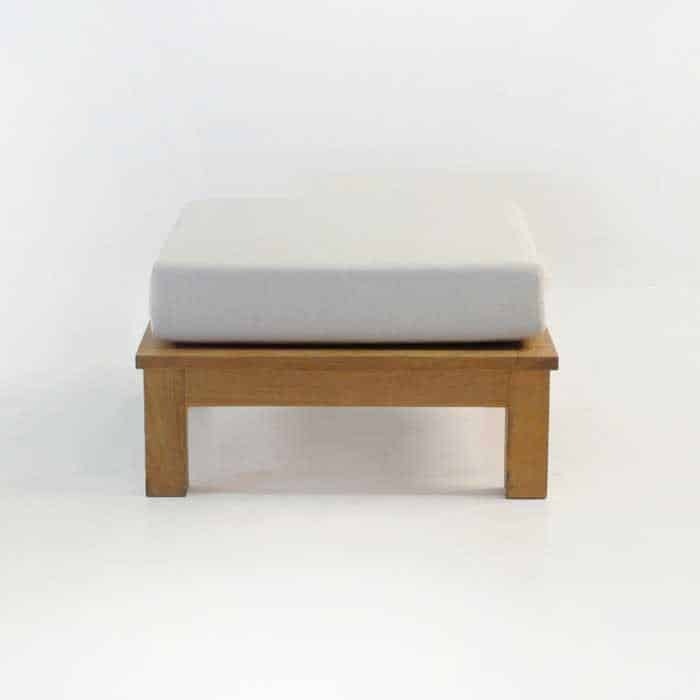 The Monterey Ottoman, part of the lavish Monterey Collection, is a stable, strong piece with a plush Sunbrella® cushion topping it off. So put up your feet and enjoy the space and comfort to let go in the comfort of your surroundings. Not only is this piece versatile and attractive but you will enjoy it for years to come. 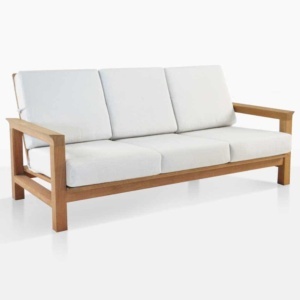 All pieces in the Monterey Collection are constructed of highly sought after Grade A Teak – known for its long life – and held together with quality hardware and marine quality glue and complete with a free Sunbrella® cushion; available now in your choice of Taupe or Canvas. Sunbrella® is weather resistant fabric, suitable for the outdoors. 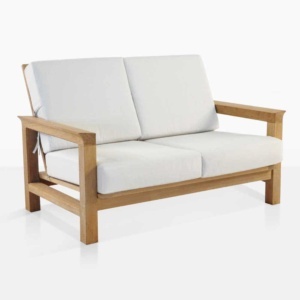 Not only is it incredibly comfortable, it won’t fade or discolour like other fabrics left in the outdoors. You’ll want to lounge outside for hours! Features Quick dry foam inside Sunbrella® fabric on cushions.